Is your problem drugs or people? Are people in your life making too much out of your recreational drug use? A number of people recently have been describing how they do not feel they have a problem with drugs. They are not addicted. They have or have had a job. There have been no awful withdrawal symptoms. These people report that they are not addicted and that they just use drugs for fun. These conversations have been both in person and via mail or chat. The common complaint is that others in this person’s life are being unreasonable and are upset because this person wants to have fun. The common thread in these conversations is that these others are off base because they object to the person I am talking with have fun, enjoying themselves and doing drugs recreationally. This blog post is of course written in generalities. I do not know each reader’s situation. Your situation may be very different from the ones I will describe. 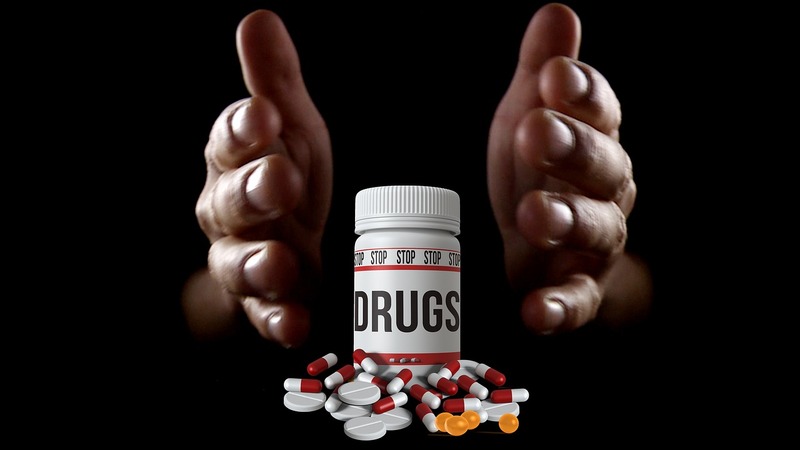 Let’s take a look at some of these interpersonal conflicts that occur around drug use and how both the user and others in their life are perceiving this recreational drug use. Below are some of the people who have objected to someone’s drug use. The topic is drugs but as far as I am concerned alcohol should get lumped in as a drug. Alcohol alters consciousness and it impairs functioning at times. Our societal attitude to alcohol may be less rigid than the attitude towards other drugs but those attitudes are changing and penalties for doing things while intoxicated continue to increase. Your Spouse or romantic partner objects to your drug use. Often the first person to notice a problem with your drug use will be a close romantic partner. So you need to ask yourself did this person have a problem with your behavior before you two moved in together or has their opinion changed and why? If they said nothing before you became a couple but are now asking you to cut out or stop your drug use what has changed? If situations have changed, you have kids, need to make a house payment and so on that may be the reason they are talking differently now. They may just have thought that once you were in a committed relationship you would act more grown up. Some people are ready to settle down for the kids and the future before others. Consider which is more important, your ability to do all the drugs you want because you do not see them as being a problem or making your partner happy and being a good parent? It is also possible that the people in your house can see the signs of trouble in you before you can see them. If more than one person has complained about your partying, you need to look at this carefully. Do your parents criticize your drug use? One big reason that parents tell their kids that drugs or alcohol is a problem? Because they have done those things and gotten themselves in trouble. That or they grew up in an environment where people were acting irresponsibly as a result of substances. It is rarely because your parents are trying to hog all the fun. As people grow up there is a tendency to push parents away, separate yourself and become who you are as an individual. Some people pick a new career, change their religious preference or join another political party. Other people dabble with drugs and alcohol. If your parents are noticing your drug use, then it is likely that you are already having problems. If when you use bad things have happened, you need to take another look at that use. Are coworkers commenting on your drug use? If your coworkers are expressing concern about your substance use then it is likely that your use has interfered with your job performance. If you are missing work, coming in late on Mondays or calling in sick a lot, the truth is your drug use is making your coworker’s life harder when they have to cover for you. Your boss knows you are partying. Bosses often notice an employee has a problem early on. Many people in drug treatment have to deal with the added issue of having been fired from several jobs. Bosses may ask you if there is something going on, problems at home? If your performance has gone downhill, is substandard, or you are late and absent a lot your partying is getting in the way of having a job. Police contact suggests something is wrong. If you are having issues with the police then ask yourself, would you have those same issues if you were not doing drugs or drinking? Yes, you can do what you want with your life, but if it is impairing your ability to drive, getting you into fights or attracting the notice of the police then there is something wrong. Did the Judge say you needed treatment? If the judge says you need a drug treatment program then you need one. Why? Not necessarily because your drug use is that bad. You may not be an addict. Yet. But the fact that you are in front of the judge and that this person knows about your drinking and drugging tells us that your use has become a problem. Maybe it is only a legal problem, but it is still a problem. Are you on parole or probation? If you are on Parole or Probation take another look at you. When you are trying to get your life straight any drug use, alcohol included, can impair your judgment and send you back. You say “I should be able to do what I want?” Maybe, someday. But really is your right to drink or drug more important than staying out of jail? Consider that one study concluded the vast majority of people in prison were drunk or high in the 24 hours before they committed the crime that put them away. Alcohol and drugs are not your friends. Not the kind of friends that want you to stay out anyway. The person who was injured in the accident you had knows it’s a problem. If you hurt someone either intentionally or accidentally while under the influence, that was like not cool. Everyone can have an accident, but if you were high when it happened we think this is not so much an accident as a case of your ability to function was impaired and your hurt someone else as a result. Clearly, you were not just hurting yourself. Did you know there are countries in Europe where the legal limit for a DUI is point-zero-two (.02)? That’s right- one drink and you can’t drive over there. Will all these reasons keep people from drinking and using? Not likely. Many people will still say that they should be able to do what they want because they are only hurting themselves. Every year a whole new crop of humans will experiment with drugs and alcohol. But if you find that any of the people on this list are complaining about your drinking and drugging then maybe you need to take a hard look at how much of your life you are giving up to do those things.